Well well well. It has been a while since our last post but we have a great excuse. First, we are engaged! an exciting time for us. 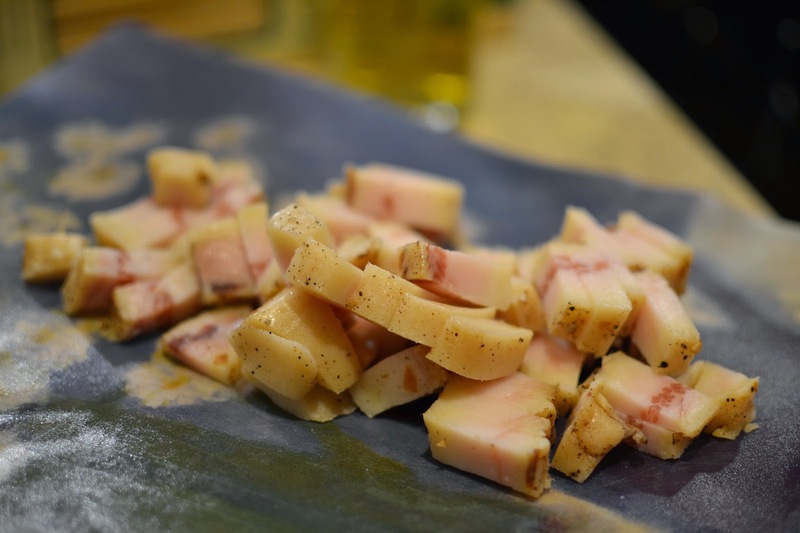 Secondly, we just returned from a whirlwind tour of Italy and France where we feasted on the local dishes and are inspired to make a few of them ourselves now that we have returned home. 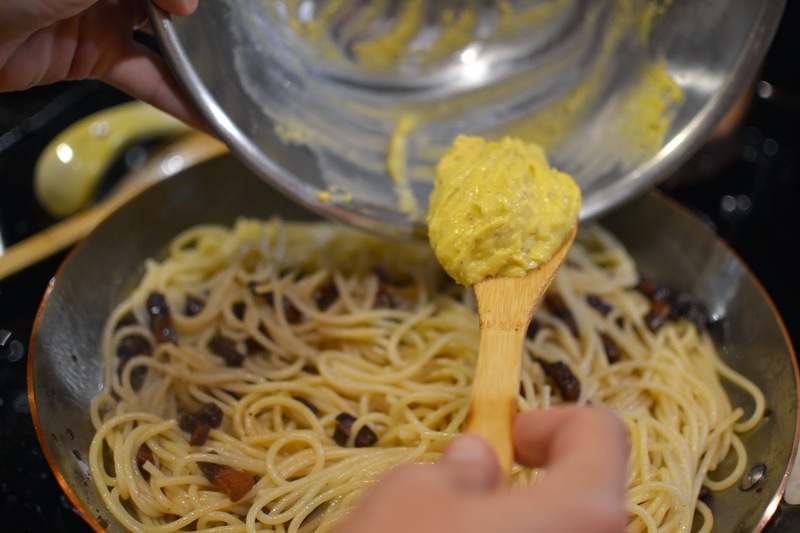 We learned that there are many different cuisines in Italy depending where you are. 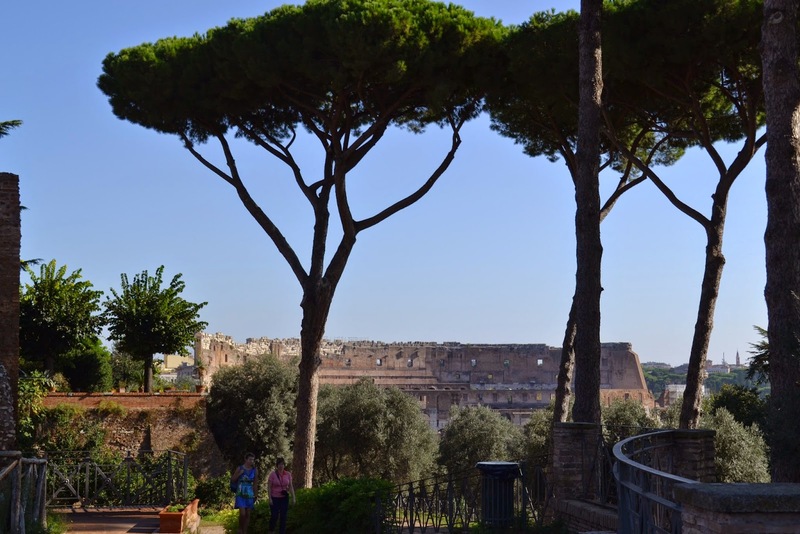 So let's start in the first stop for us, Rome. 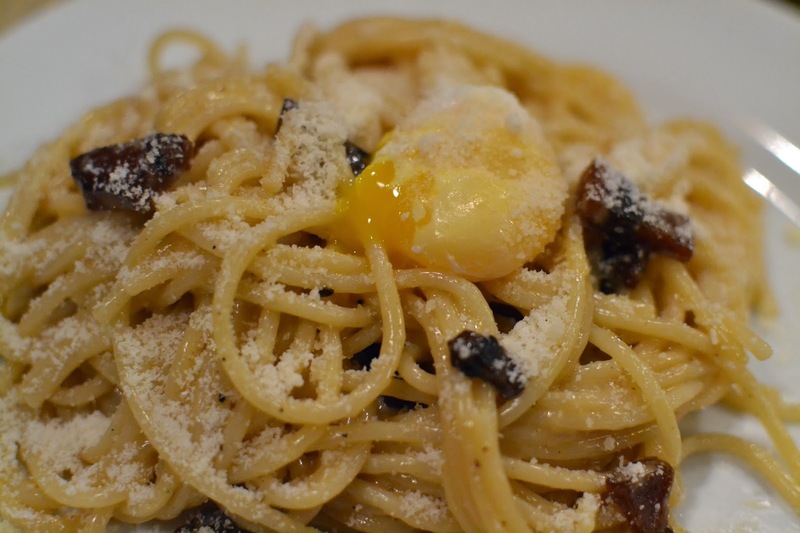 The king of Roman cuisine (at least in my mind) is Carbonara. 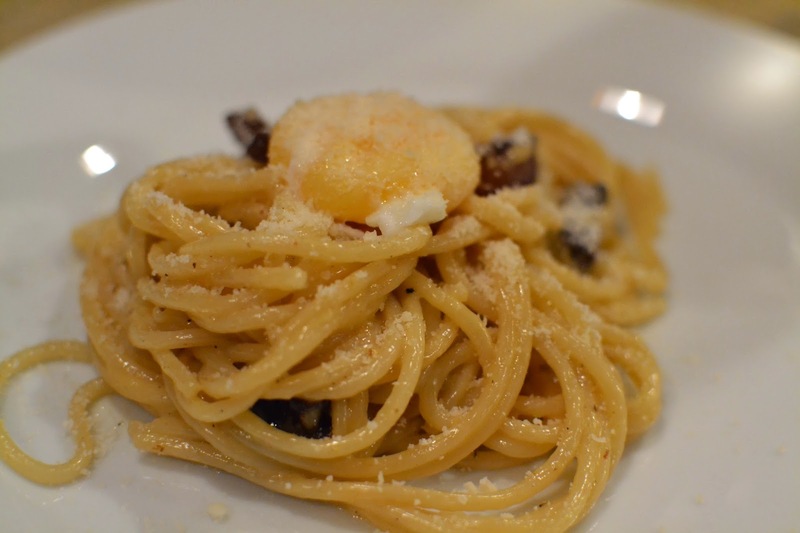 I practically ran to our first restaurant that was recommended by our host, Pecorino, in the Testaccio neighborhood. I have to say, maybe it was the evening or the excitement of our first night of the trip, but this may have been the best meal of the trip. 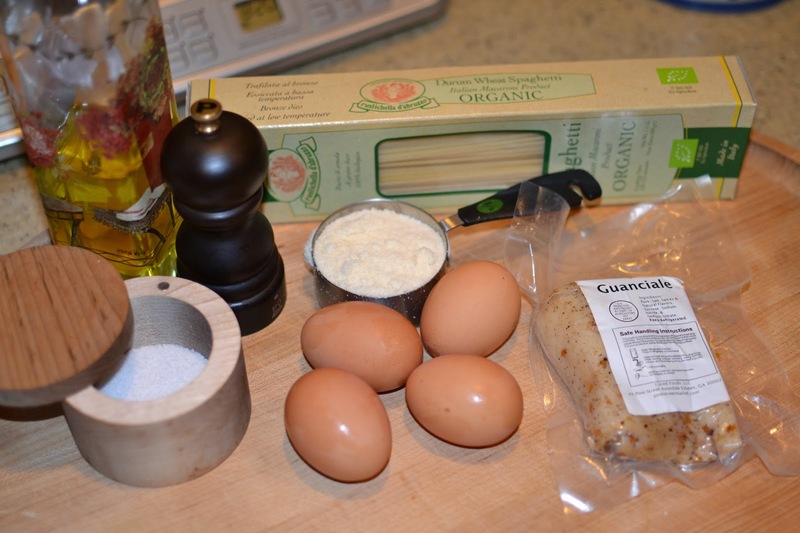 Upon returning returning home, we searched around for a great recipe and determined to make a great carbonara as our Friday evening dinner. We found two great sites. 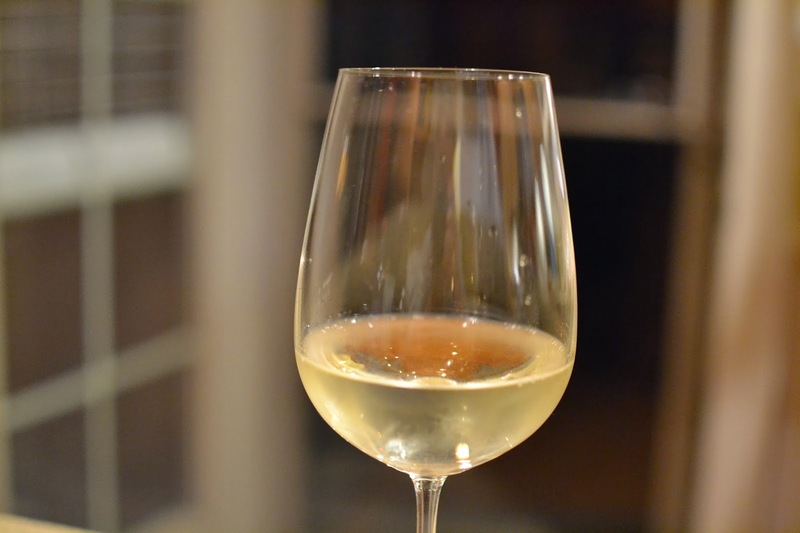 Check out La Bella Vita Cucina - I don't think we can beat this one but it looks great. Also, Saveur. We decided to follow La Bella Vita Cucina. 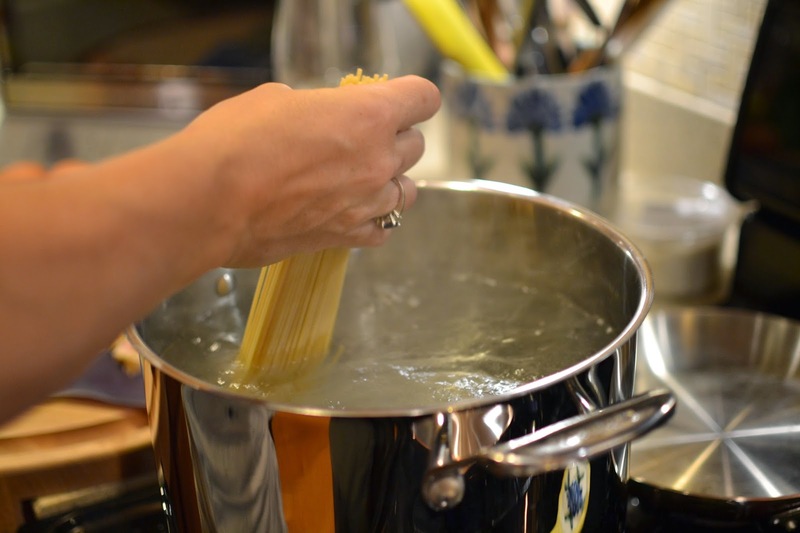 We will cook the noodles (in water as salty as the sea). 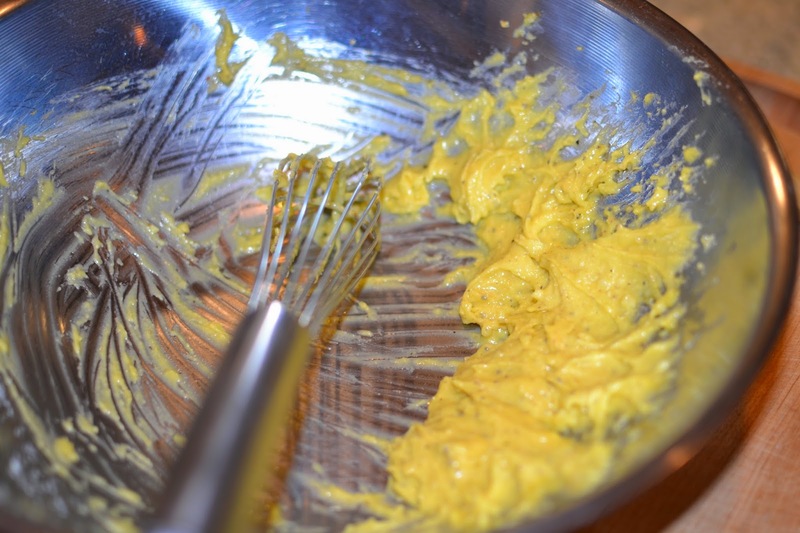 Mix Make the egg, cheese and pepper (in a bowl). 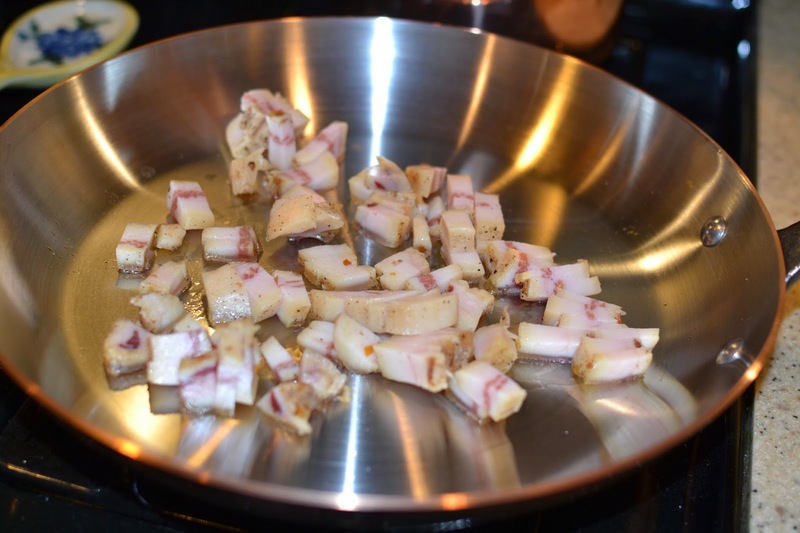 Saute the Guanciale in a pan and then mix. Bang bang bang. 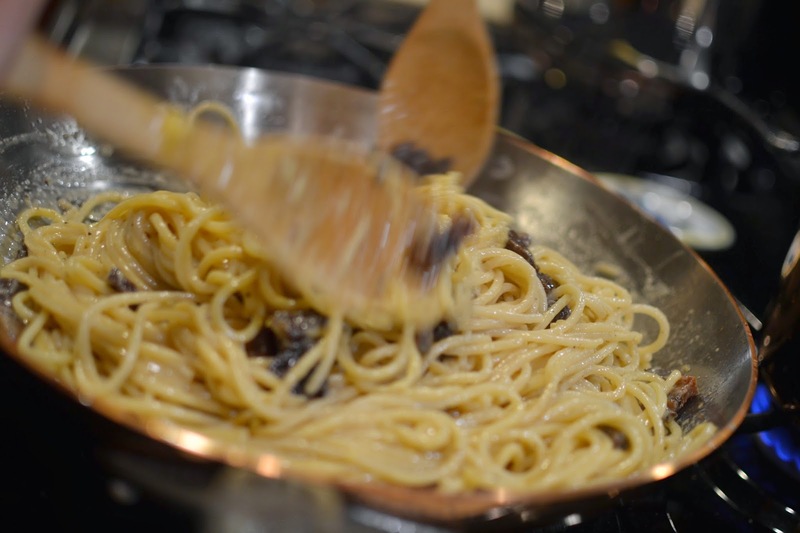 Get the pasta going. Add to boiling water with enough salt to taste like sea water. 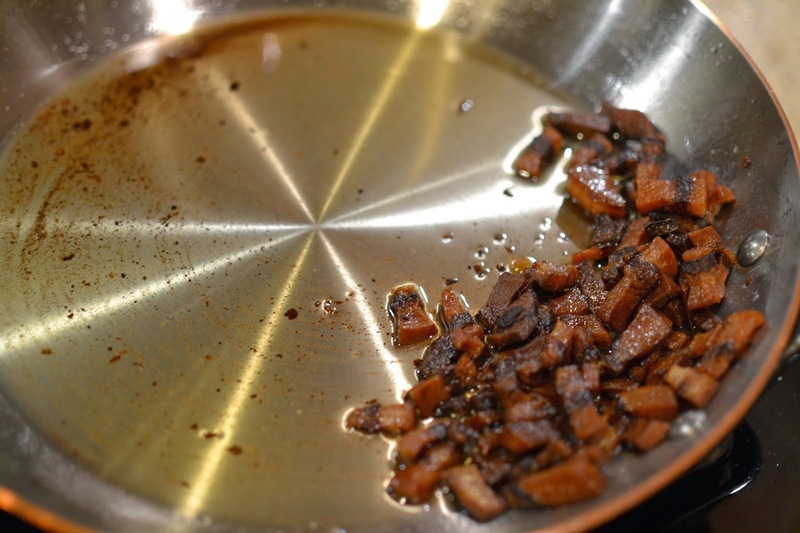 Sauté the Guanciale. Be careful, it cooks fast! 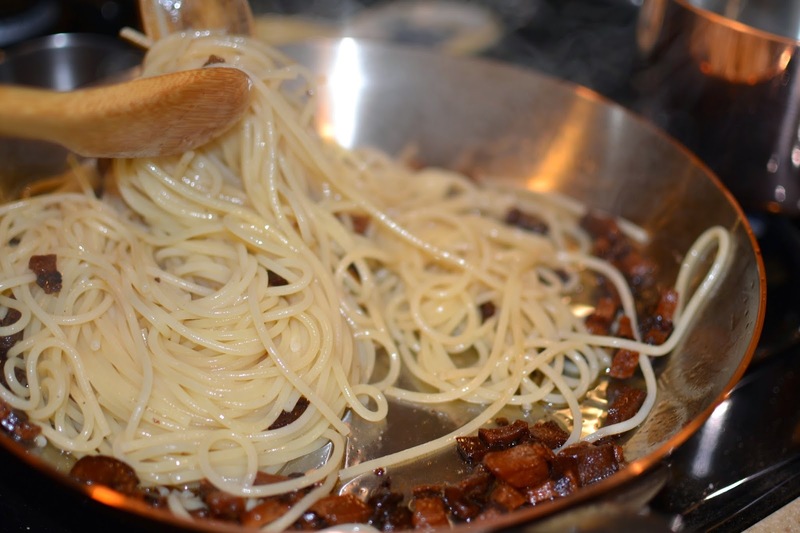 Drain the pasta and move to the Guanciale pan with the fat. Poach a egg yoke. 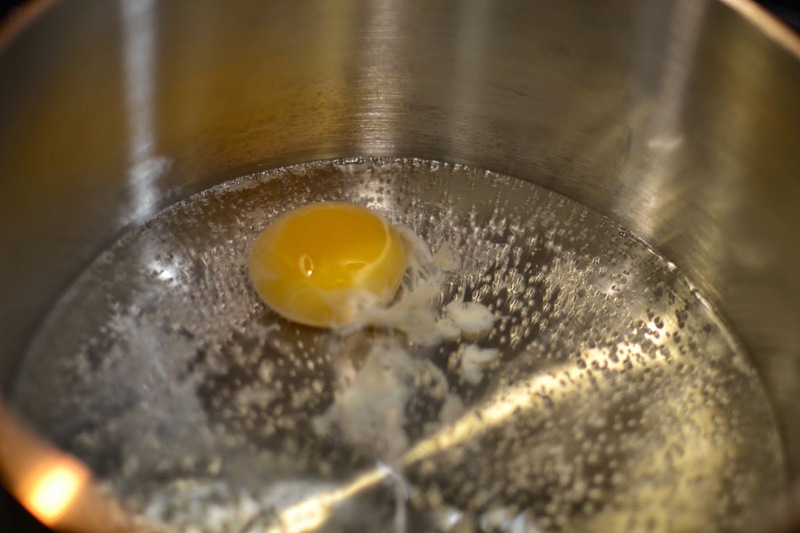 Separate the egg yoke and gently add to boiling water. Fish it out with a spoon once the exterior is firm. 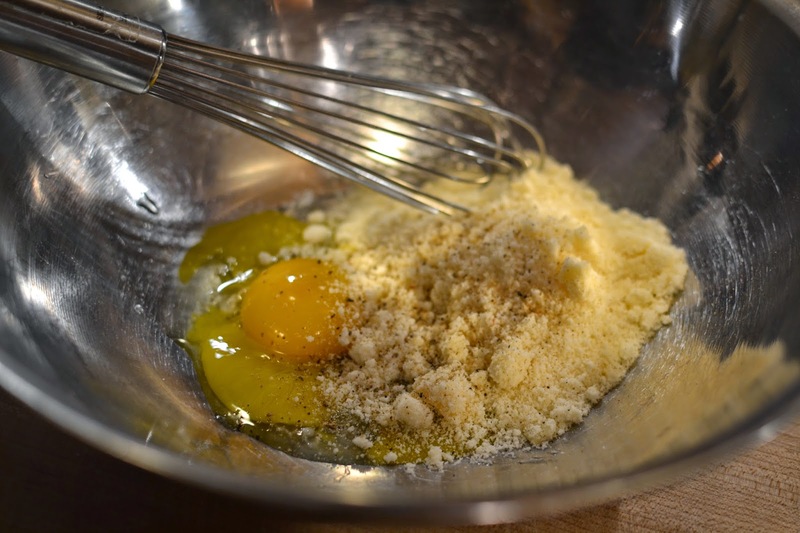 Place the egg on top of the pasta and sprinkle with more cheese. So I thought this would likely be a disaster because I thought the noodles would overcook the egg when we mixed it but it really turned out great! We loved this dish. 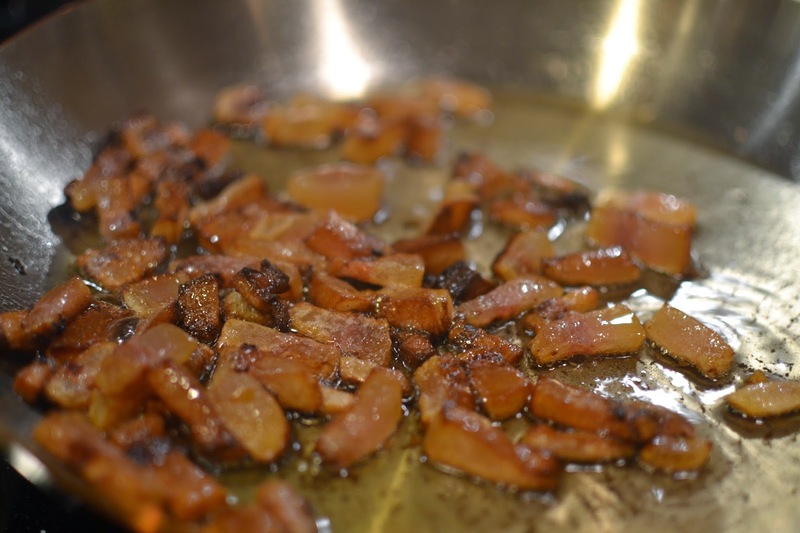 I think I may have overcooked the Guanciale and will do better next time but regardless, it was still great. Creamy and decadent. Very Roman. So happy to make this at home and it turn out, we will be making this more often. For a few moments, I felt like I was back in Rome.